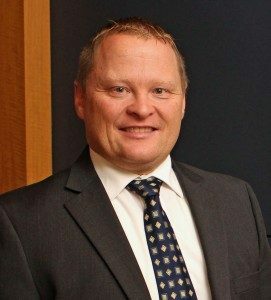 Attorney John L. Davis was raised in Vancouver and worked as a realtor in Washington’s Clark County for nearly a decade before attending law school at Willamette University College of Law. After graduating with his J.D., Mr. Davis worked with the Oregon Department of Justice and the Clark County Prosecutors Office. This stint in public service gave Mr. Davis a broad background in criminal law, making him a valuable ally for current clients struggling with matters involving family, business and real estate law, and those resulting in litigation. Prior to establishing his private firm in 2012, attorney John L. Davis was a partner at the prestigious firm of Weber Gunn. He currently focuses on matters involving family law, litigation, and business and real estate law. When not working on his clients’ cases, Mr. Davis enjoys coaching Little League. He looks forward to many more years of serving his friends and neighbors here in the greater Vancouver area. John L. Davis PLLC helps Vancouver residents with family, business and real estate law matters, as well as cases resulting in litigation. Call (360) 597-4740 to learn more about how Mr. Davis can help you and those you love most. John L. Davis PLLC represents families and businesses throughout Vancouver, Washington including the communities of Minnehaha, Salmon Creek, Camas, Walnut Grove, Five Corners, Hazel Dell North, Hazel Dell South, Washougal, Mill Plain, Mt. Vista, Brush Prairie, Hockinson, Felida, Battle Ground, Meadow Glade, Venersborg, and Ridgefield. John L. Davis PLLC represents clients with cases involving family, including divorce, child custody, and child support; business law; and real estate law, including boundary disputes and easement disputes.